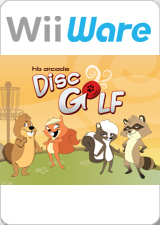 HB Arcade Disc Golfs recreates the popular disc-flinging sport in the comfort of your own living room. Playing the game is as easy as tossing a disc around on a beautiful day. The goal of the game is to put the disc in the basket in the fewest amount of throws possible. Disc golfers have three different types of discs at their disposal when out on the course: a driver, a mid-range disc, and a putter. Also, there are three different types of throw available: forehand, backhand, and the hammer throw. The forehand and backhand throws change based on the handedness of the player, and can be used to draw or fade a shot, while the hammer throw is less about distance and more about height. At the end of the round, scores are tallied, and the player with the lowest score is the winner. The graph below charts the compatibility with HB Arcade Disc Golf since Dolphin's 2.0 release, listing revisions only where a compatibility change occurred.